I've gone to jury duty a number of times and served on a civil case about twenty years ago. Here are some things I learned form my jury duty experience today. 1. It's a long walk from the parking to the jury plaza. 2. There is a lot of waiting. 3. The benches in the courtroom are harder than church pews!!!! Three and a half hours without a break makes for an aching back. 4. Just because a person speaks in courtrooms, does not mean he/she is a good public speaker. 5. Addressing people by their correct name is important. 7. Attorneys usually don't choose law enforcement personnel for their juries. 8. It costs more to park than you get paid for the day ($8/$6). 9. Burglary of a habitation does not mean the person broke in the house. They may have walked in an unlocked or open door. 10. Burglary of a habitation does not mean a theft took place. 11. Female judges who smile a lot are probably more strict than their unsmiling male counterparts. 12. You're lucky if you get a bailiff with a good sense of humor. 13. The intentions of a person is difficult to prove. Bonus fact - You can donate your $6 jury pay to a number of charities. So, I did my civic duty today, and even though some of it was boring or difficult, I would be happy to do it again. Have you visited the home of the new Thursday Thirteen? Spring break was not good for my routine. I had a hard time getting up for work today. Good news? Only nine weeks left! Jury duty tomorrow. Fun! Fun! I wouldn't mind being chosen for a jury that is not a boring one. I don't want anything high profile because that's just scary! I've had jury duty number of times, but the only time I got selected, it was a truly boring case. I'm scheduled for shoulder surgery this summer, and I'm nervous. First, the costs make me nervous, but mostly, the recovery time, the pain, the rehabilitation and what scares me. Have you ever had shoulder surgery? I'm relieved my friend's wedding is over. There's a big stress reliever! It was fun , but I think I'm too old to be a bridesmaid now. I wish her the best, but planning and waiting for a wedding are so stressful! (and expensive, even though I only had to pay for a dress, alterations, the bachelorette party, the shower, a couple of gifts.) Wow! It really did add up! My tenth anniversary is in just over a month (second marriage). I hope my honey plans something special. Well, we are going to Las Vegas in June, but I hope he plans something special for the actual day. 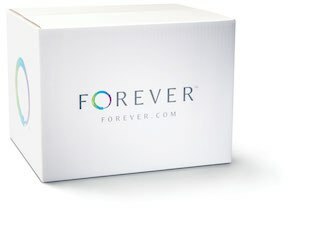 What is the worst anniversary gift you ever received? Have a great week! 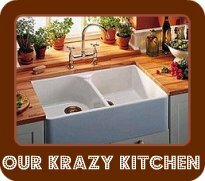 Link up with Stacy Uncorked for Random Tuesday! I would describe this blog as fresh, timely, and honest. I found a post called The Scary Thought of Fear. I think I've forgotten how scary it is for young people facing so many unknowns in their lives. If you decide to visit, maybe you can offer a bit of advice. Found a crafty post called CAS Card showing a beautiful card using stamps, cord, and distress ink. It's beautiful! There are cards, DIY crafts, photography, and more on this blog. I used to visit this blog regularly and somehow quit visiting. I think life just got so busy, which is ironic since a post that caught my eye was Is Busyness Making You Sick and What You Can Do About It. OrgJunkie says we should think about "removing the things that affect us negatively even if those are things we love and use." She also has a sponsored link to a website that can teach you how to become a professional organizer. If I could do that, I think I would like it! Hope you find something you enjoy! Join the fun at High Heeled Love and My So Called Chaos. Connelly is one of my favorite authors, but I prefer his legal and detective books. This book pits bad guys against bad guys. It was difficult to sympathize with either the female lead or the two male leads. None of them is likable. The plot moved forward at a good pace, and the story was clever, but I didn't identify with any of the characters in spite of this being a well-written novel. I liked it, but I didn't love it. The sound of the air conditioner. Nine more weeks of school left. Catching up on TV shows. A day of pampering at the spa. This is MY spring break. for Thursday Thirteen. Visit T13! I need to do what someone suggested in a comment on one of my previous random posts. I need to write my thoughts down as they happen because I can't remember stuff! One daughter's spring break is over, and another daughter's, my son's, and mine has just begun. I don't have much planned, but that's just the way I want it! I would love to go to a basketball game or two this week, though. And I have a day of pampering planned: facial, massage, pedicure. I still have a gift card from Christmas for that. My very good friend got married Saturday. It was a little strange being a bridesmaid (is bridesmatron a word?) at my age, but the wedding was perfectly beautiful! My husband and daughter went with me. 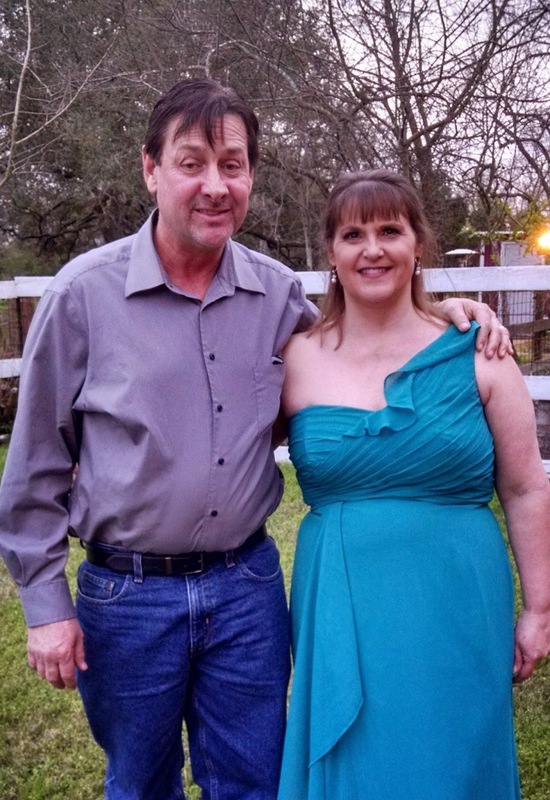 I got to dance for the first time in years, and my daughter said she got to see a side of me she's never seen. Alamo Drafthouse is offering a free movie to teachers during spring break, but it's about an hour's drive from here, and I don't know what is showing that I would really like to see. Maybe Cinderella? I've heard good things about it. Any suggestions? It's been so long since I actually went to a movie theater. I need to get out more! 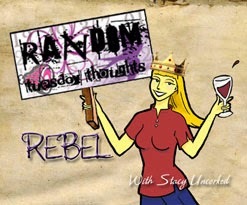 Join Stacy Uncorked for Random Tuesday! Have a great week! It used to be a rare treat to go to an outlet mall, back when you could really get good deals, but now, they're all over the place! 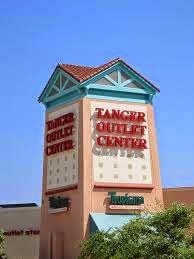 My daughter and I went to Tanger Outlets which are about a half hour from us. We had so much fun shopping (she is home for spring break), but there are some things to know about outlet malls. 1. Outlet stores (also called Factory Stores) used to be near the factories where the merchandise was made, and most of the inventory was made up "irregulars." The percentage of irregular merchandise that you would find now is only 1-5%. 2. Now, the things you can get at lower prices, instead of irregulars, are manufactured intentionally with lower grade materials for the outlet store; they would never put in their regular store at the mall (such as Coach), so you need to know what you're getting if you want to save some money. It's not going to be the same quality that you would get at the mall, but if you're okay with that, then go for it! 3. If you see a drastic was/is price difference, that is just "retail theatrics!" Was 200, Is 18. Yeah, right. 4. Head to the far corners of the stores for the really good deals and clearance merchandise. 5. Outlet malls are much less crowded during the day when most people are at work. 6. Since factory seconds make up much less of the inventory as they did previously, they have more sales than their department store counterparts. Sign up for their email lists so you will know when the sales are. 7. 90% of the merchandise in outlet stores has never been on the rack in the mall department store of the same name. 8. Tanger Outlets have digital deals you can have sent to your phone. They also have the Tanger Club where customers can earn rewards. 9. Factories began selling their overstooked goods in "outlet stores" in the 1930's. 10. There are over 13,000 outlet malls in the United States. 11. The Travel Channel compiled a list of the best outlet shopping centers to visit. 12. I have been to one of the outlet malls that made Travel Channel's list - the one in San Marcos. 13. The biggest outlet mall in the United States (which has been open since 1963) is King of Prussia Mall in King of Prussia, Pennsylvania with 2,793,200 square feet . I'm linking up with Thursday Thirteen. Have a great weekend! Coffee Chat - Would you rather edition. Would you rather ride a roller coaster or ride a motion ride, the ones that show you a screen and make you feel like you're actually moving? I would much rather ride a roller coaster! The motion rides make me sick! If I'm going to "feel" like I'm going somewhere, I want to actually GO somewhere. Roller coasters are exhilarating! I love one with a loop-de-loop and a really long drop in it. My favorite so far is the one at Disneyland's California Adventures. We rode it several times when we went a few years ago. We rode their motion ride, too, and it made me sick to my stomach. Haha! So, would you rather...? 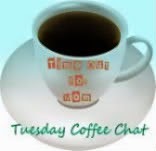 Click here to link up with Tuesday Coffee Chat, or click here to link up with Random Tuesday. Edie Claire reminds me of Janet Evanovich, and that's a good thing! While there is definitely a mystery to be solved, the book itself is light-hearted. The heroine, Leigh Koslow, is probably a little more likable than Stephanie Plus and definitely as comical. They both also have a "crazy" mom who can't seem to handle the hijinks their daughters get involved in. There are some twists and turns along the way, too. Claire keeps me interested. This is my second of the three Leigh Koslow books, and I plan to read the third. 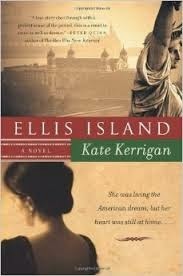 I started reading a book called Ellis Island, which I had actually suggested to my book club, and I got through the first five chapters, and at that point, I decided that I should set it aside. I just could get into it. 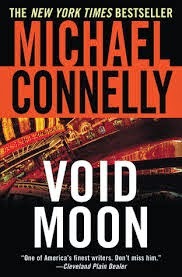 Instead, I'm picking up Void Moon by one of my favorite authors, Michael Connelly. What are you reading this week? Join Jenn at A Daily Rhythm to see what people are reading! Visit the home of the NEW Thursday 13! When I was growing up, Simon and Garfunkel were very popular. One song of my youth was 50 Ways to Leave Your Lover. Now that's a stick-in-your-head song if I've ever heard one! Here's a tribute to Paul Simon. If you're middle aged or maybe even older, you'll get it. 13 ways to leave your lover. 1. Just cross that bridge, Midge. 2. Hop in the van, Ann. 3. Go take his camper, Amber. 4. Just walk out the door, Lenore. 5. Pack a suitcase, Stace. 6. Get on a plane and fly, Skye. 7. Walk out the back gate, Kate. 8. Take the kids with you, Lu Lu. 9. Set the stage, Paige. 10. Join a harem, Karen. 11. Do it if you dare, Claire. 12. Shoot yourself out of a cannon, Shannon. 13. Just get yourself free, Leigh. Just a little light-hearted post for a busy day! I'm joining Stacy Uncorked for TRR. How about a little randomness? 1. For a Monday, today has been pretty good... for me. Not so for my husband. He spent most of the day helping his daughter move. Plus, I think he's getting sick. Nooooo! Spring break is coming, and I don't want to get sick! 2. Love that the Rockets beat the Cavs Sunday. And that kick to the groin? I think LJ is a great actor. 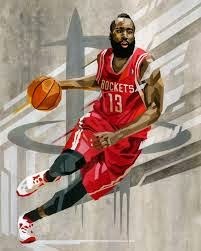 I don't think Harden's foot every connected. LJ should have been out of the game anyway, but they only called one technical on him. The refs coddle him. 4. 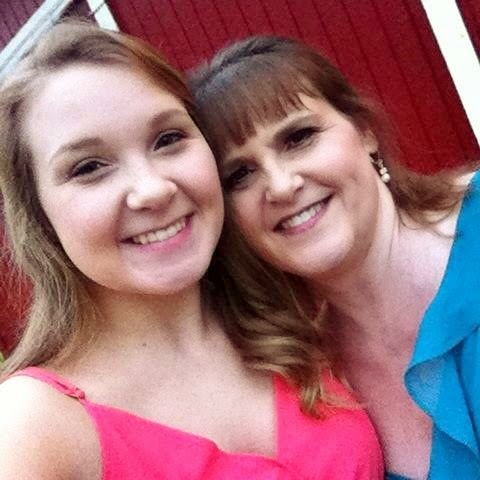 My youngest baby will be home for Spring break Friday, and I can't wait! 5. Here's a great post for you to read about FEAR. No, it's not a scary post, not at all. Just go read it! Let me know what you think! And let Angela Paige know, too. 6.. My newest book review is here... House Rules by Jodi Picoult. This book was so hard to put down because it made you think. First of all, Jacob is an 18 year old with Asperger's Syndrome, a highly functioning form of autism. I have taught students with autism and Asperger's before, and in some ways he reminds me of them, but in others, not so much. That is one reason it was so interesting to me. I do tend to be critical of the books I read, even when I enjoy them. One thing I didn't like was that each chapter was from a different character's perspective because I would sometimes forget from whose perspective I was supposed to be seeing things from, and I would have to go back many pages to find out. That's not so bad if you have real pages, but when it's a NOOK, you have a lot of backing up to do, it gets tiresome. Also, I don't see how she could completely get in Jacob's head and know his thoughts (yes, I realize he's a fictional character) since the author can't possibly know exactly how an Aspie or autistic person thinks. I don't think he would use extraneous words such as "like." I realize she attempted to take on the persona of an Aspie for a reason, and she surely made her point, but as I said, I tend to be critical since I teach reading and writing. Another thing is that she really could have ended the book sooner. What the reader already predicted had happened was a long, drawn-out process. It seems strange that no one would have asked Jacob exactly what truth they were supposed to tell. They said he responded to explicit questions and wouldn't lie, and no one asked? Six hundred pages was overkill, and she used a lot of cliches. Last, the ending was incomplete... for me. I wanted a true resolution. What I got instead: the characters driving to the courthouse, and then using my own imagination. I wanted to read how the D.A. and judge responded. I wanted to know if Theo continued his shenanigans. I wanted to know if the kids in school continued to reject them. I wanted to know how the town reacted. I wanted to know what the dad did in the end. Picoult made me like her characters, and I wanted to know more. However, while I have complaints from a reader's perspective, I have to give Picoult praise for writing a thought-provoking, engaging story with very real and complex characters to whom the audience could relate. I truly wanted to know what was going to happen to all of them, and I had a hard time putting this book down.